Fifteen year old Chevy s10 still running good. 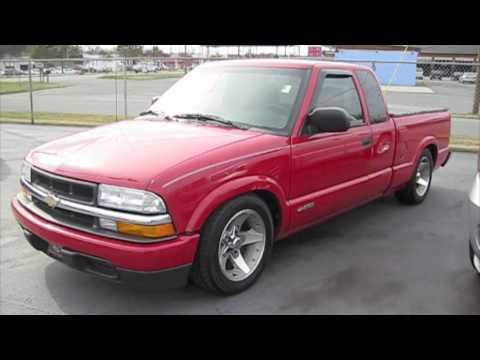 I have had this 15 year old s10 for the last 12 years with minimal mechanical problems. Vary reliable. Still gets pretty good gas mileage but it is a four cylinder so kind of excepted. I keep up on oil changes and regular maintenance. The body only started to rust in the last couple. Years but I am not big on taking it to the wash so surprised it made it that long. I have had issues with the door handles breaking and the pins in the hinges breaking but only in the last several years. The heat and ac still work. No real complaints besides the problems with the doors. Great truck, everyone should have one. Normal upkeep, very dependable has all the comfort features tilt wheel cruise control auto headlights auto volume radio 3rd door has a v6 it run great had for 7 years gas mileage 17 mpg in town 24 mpg on highway. The only problem I had was a cracked distributor cap. The comfort ride it has on a trip your not tired after a long trip. As far as it goes for problems I have not had any, I have friends that have s-10 and they have no problems. Chevy should still made this truck.